Hi, all! 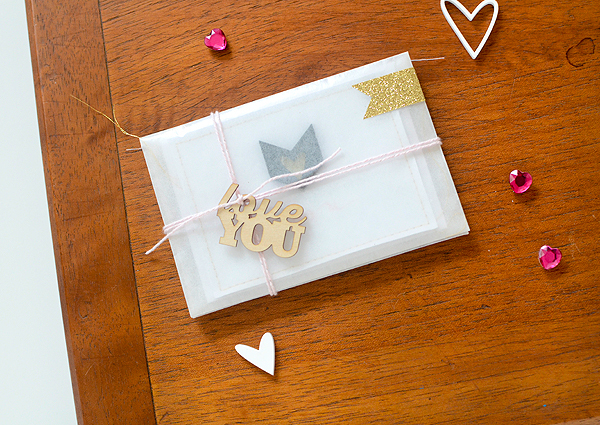 Just a short post gearing up for Valentine's Day today. It's almost here...do you love or loathe this holiday? I'm not a very sappy or mushy kind of person, but I don't mind it. 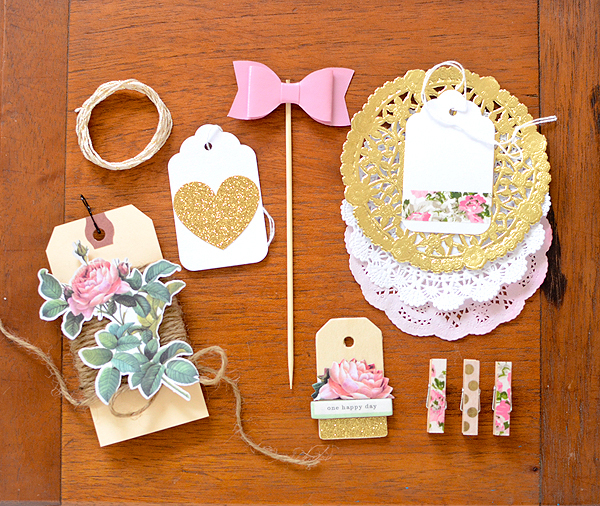 I certainly love creating pretty pink things for it! 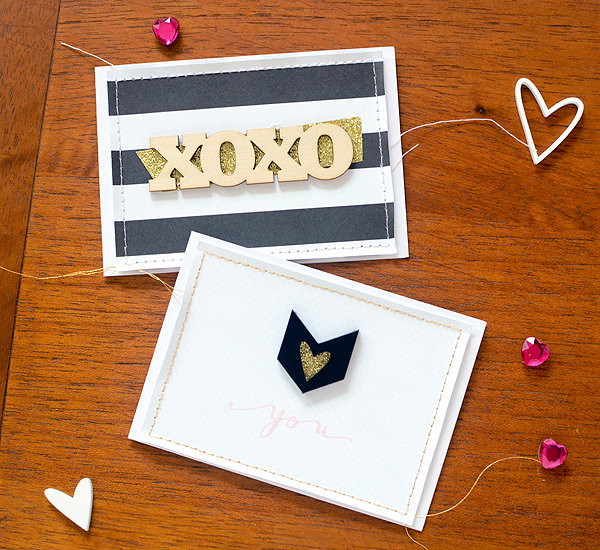 These two mini cards were made with the Gossamer Blue February kits. I took Life Pages cards from the LP Main kit, and paired them with wood and acrylic from the Themed Add-On for some easy minis. 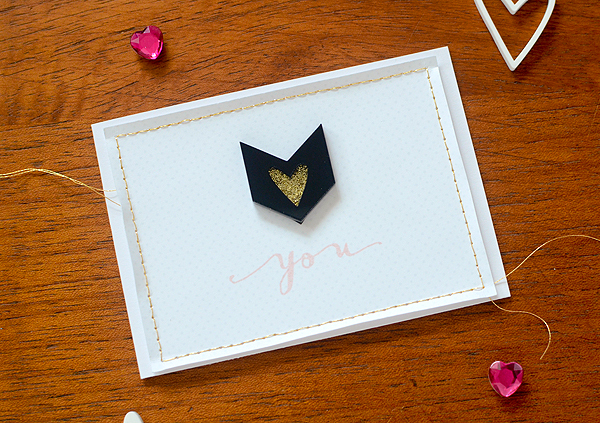 A bit of gold glitter tape behind the acrylic chevron draws the eye to it and I used the "you" from the stamp set for a hint of pink. (ink color: Sweet Blush from Papertrey Ink) I wanted to add just a bit more so stitched a border frame in metallic gold thread. Still loving black, white, and gold. It's difficult to see, but the stitches here are done with a very pale pink. I adore blush pink, but it's so difficult to photograph! 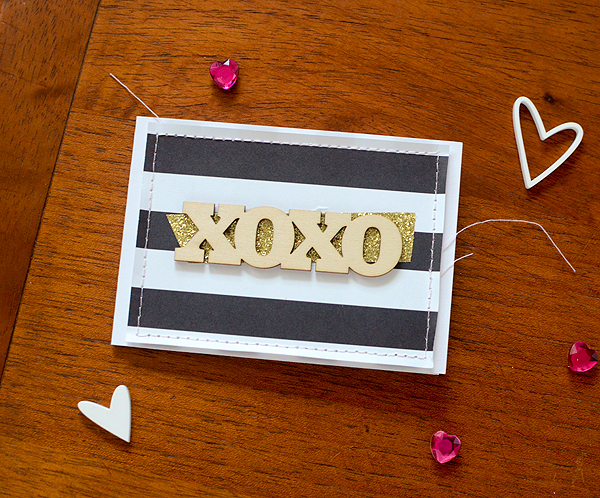 Don't you love that big 'xoxo' wood cut? It's in the Themed Add-On this month. 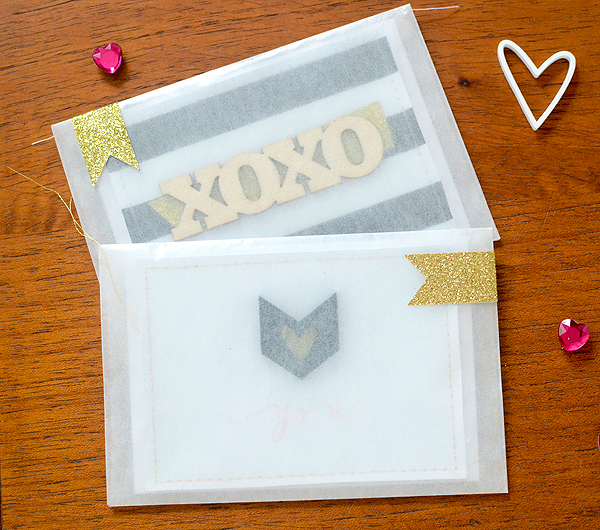 Mini cards aren't complete without cute 'outerwear' so a simple glassine envelope with a small strip of gold glitter tape is just the thing. I like that you can still see what the card looks like through the soft transparency of the glassine, and the tape ties in with both of the cards. The kits are on sale now and they usually go pretty fast so you might want to hurry over to Gossamer Blue to get yours before they're gone! Before I go, I have a sneak peek of something that's in the works...I'm incredibly excited about this and as soon as I can tell you all about it, you'd better believe I will! So pretty! I cant wait to hear what you have in the works!